Yuhuu!!! Happy Hour is more Fun with Fries and margarita, right. Hey this ain’t any ordinary fries yo... it’s U.S. Fries tossed with loads of garlic, served with cheese sauce and fry sauce. Omg… dip it with lots and lots of cheese sauce, so addictive. 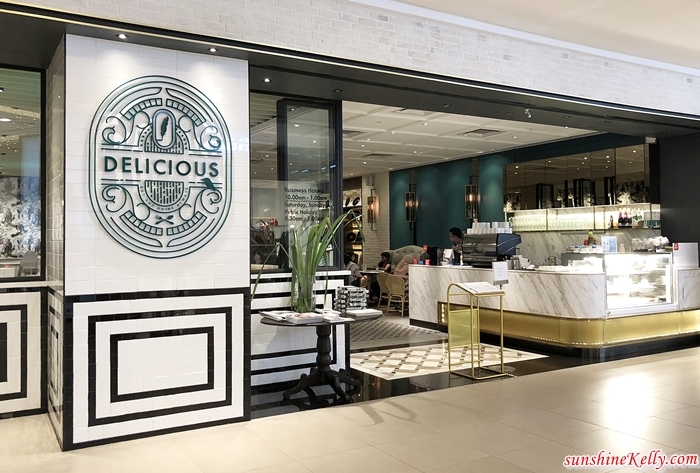 Recently we were are one of The Delicious Group restaurant at Bangsar Village II to savour the U.S Potatoes Culinary Festival 2018 Menu. Check out what else we had that evening. As you might know from my previous post, I am a fans of U.S. Potatoes. Need not to argue that, U.S. has the widest range of fries that is sure to excite the fries fan like me. Not all frozen potato products are created equal. Quality starts with premium U.S. grown potatoes, the result of ideal growing temperatures, rich soil and generations of grower expertise. U.S. Potatoes destined for processing must meet stringent standards for high "solids" and low sugar content – just right for creating frozen potato products with a desirable appearance, taste and texture. Besides the U.S. Fries tossed with loads of garlic, served with cheese sauce and fry sauce, we also had sautéed U.S. Fresh Potatoes with button mushrooms topped with melted raclette cheese and U.S. Fries topped with beef chilli con carne, melted cheese, sour cream and jalapeños. The warm melted raclette cheese on a bed of savoury sautéed U.S. Fresh Potatoes with button mushrooms is so so euphoric for a cheese and potatoes lovers, like me. I still can imagine the taste, makes me want to go back again. Last but not least, we also tried this U.S. Fries topped with beef chilli con carne, melted cheese, sour cream and jalapeños. Perfect for sharing be it for snacks or appetizers. Location: Lot G316, Ground Floor, One Utama Shopping, Centre (New Wing), 1, Lebuh Bandar Utama, Bandar Utama, 47800 Petaling Jaya, Selangor, Malaysia. Location: G-7 & G-8 Tower A, St Mary Place No. 1, Jalan Tengah, Off Jalan Sultan Ismail, 50250 Kuala Lumpur, Malaysia. Location: Lot GF-1, Ground Floor, Bangsar Village 2, Jalan Telawi, 59100 Kuala Lumpur, Malaysia. 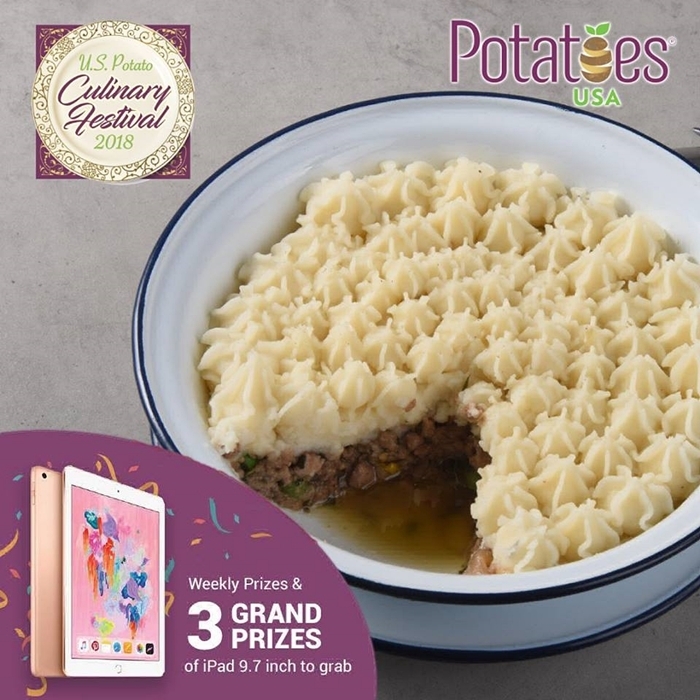 By the way, you can join #MYPotatoesUSA Eat & Win Most Creative Photo Contest stand a chance to win 3 Grand Prize of iPad 9.7 inch and 5 weekly prizes too. 1. Order one U.S. Potato Culinary Festival dish from one of our Kuala Lumpur participating outlets. 2. Follow MY Potatoes USA on Facebook.